LG Optimus 2X (LG P990) Phone price in India - Rs. 19,000. LG Optimus 2X (LG P990) Phone price in Mumbai - Rs. 19,000. 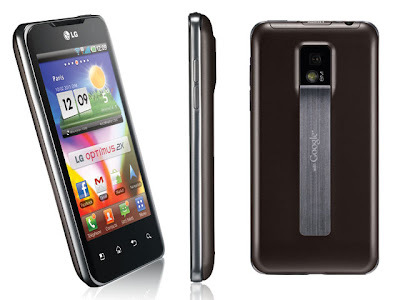 LG's Latest Smartphone is LG Optimus 2X, Its also called as LG P990. Its is a Android OS Smartphone, Its Features, Dimensions 123.9 x 63.2 x 10.9 mm, Weight- 139g, LG Optimus 2X works with 1GHz Dual-Core Processor (NVIDIA Tegra2), Android 2.3 Gingerbread OS, 4inch IPS LCD Capacitive Touchscreen, 8MP Camera and LED Flash Light, and it able to take pictures in the resolutions of 480 x 800 pixels, Internal memory 8GB its expandable up to 32 GB, Wireless LAN Wi-Fi n.